Two collective sales were launched for public tender yesterday, reflecting continued interest among property owners to sell en bloc. Eunos Mansion, a freehold residential site bound by Jalan Eunos and Bedok Reservoir Road, has been put up for collective sale with a reserve price of $218 million. This translates to a land rate of $1,219 per square foot per plot ratio (psf ppr), said its marketing agent Cushman and Wakefield, which got the required 80 per cent approval from owners to launch the tender. 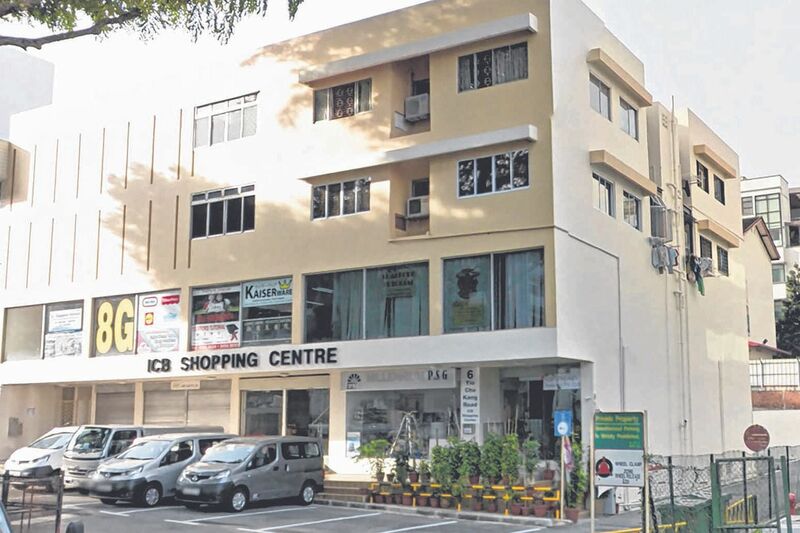 ICB Shopping Centre, a freehold mixed-use development off Upper Serangoon Road, was launched with a reserve price of $60 million, which works out to about $1,401 psf ppr. This marks its second attempt at a collective sale, with newly appointed marketing agent CBRE. There is a development charge of about $5.37 million payable to intensify the land use, CBRE said. The tender for ICB Shopping Centre closes on Feb 28 while that for Eunos Mansion closes on March 7. These tenders are coming onstream on the back of last year's collective-sale revival that saw 28 residential sites and three commercial or industrial sites sold for a total of $8.73 billion. In 2016, only three residential sites were sold, for $1 billion. Six collective sales launched since December have not concluded after tenders closed. The sites are Cairnhill Mansions, Pearlbank Apartments, Riviera Point, Casa Meyfort, Kovan Lodge and Cairnhill Heights. According to the law, the owners may enter into a private treaty contract with a buyer within 10 weeks from the close of the public tender. Ms Christina Sim, director of capital markets at Cushman and Wakefield, feels that Eunos Mansion offers an excellent opportunity for the development of a mid-sized condominium project to complement the up-and-coming Paya Lebar Regional Centre and the business parks in the mature estates of Eunos and Bedok Reservoir. The 11-storey Eunos Mansion, built in the mid-1980s, has 107 units. Assuming a building efficiency of 90 per cent, the site can be redeveloped into a residential development comprising about 165 units, based on an average unit size of 100 sq m (1,076 sq ft) per unit. Spanning a land area of 10,380.4 sq m, the site has a plot ratio of 1.6 and is subject to a building height control of up to 12-storeys under Master Plan 2014, which works out to an allowable maximum gross floor area (GFA) of 16,608.64 sq m.
No development charge is payable for the site even if the additional 10 per cent GFA for balconies is included, as the development baseline of the existing development is higher than the maximum allowable intensity in the current Master Plan. As for ICB Shopping Centre, CBRE director for capital markets Galven Tan expects the opportunity to develop a mixed-use project to attract interest. "The certainty of the deal with 100 per cent owners' consent is another selling point," he said. Based on the 2014 Master Plan, the 15,547 sq ft site is zoned for "commercial and residential use" with plot ratio of 3.0.